Every time we have a dream or a goal we want to realize we will experience fear and discomfort around it. Our brain is unfamiliar with our obtained goal because we haven’t experienced it yet. It’s only comfortable with the things we already know. All the past things we’ve already experienced is memorized by our brain as “safe” and therefore approved. While on the contrary, all unfamiliar new situations might represent a risk to us. Our brain warns us, with fear and negative thoughts around the new goal, because the no 1 job of our brain is to keep us safe and to keep us alive. This warning system is very helpful in dangerous situations. However, sometimes this very same warning system is the reason for why we don’t go for our dreams and stay in our comfort zone instead. We believe what our brain is signaling us and we let us stop by negative thoughts and fear. Let’s imagine you have a goal you want to reach and experience fear and negative thoughts around it. Your goal is to quit your 9 to 5 and to build a small business instead. Most of the people listen to their brain and let themselves stop pursuing their goals. They give in, believe in the fearful thoughts and give up before they even try to make it happen. Some people may say it’s realistic that I don’t know it, therefore, I won’t do it. Which is true at that moment and I wouldn’t suggest practicing wishful thinking instead. Pretending that you can do it while you can‘t isn’t the solution. But there is a way your fear can help you reach your goals. 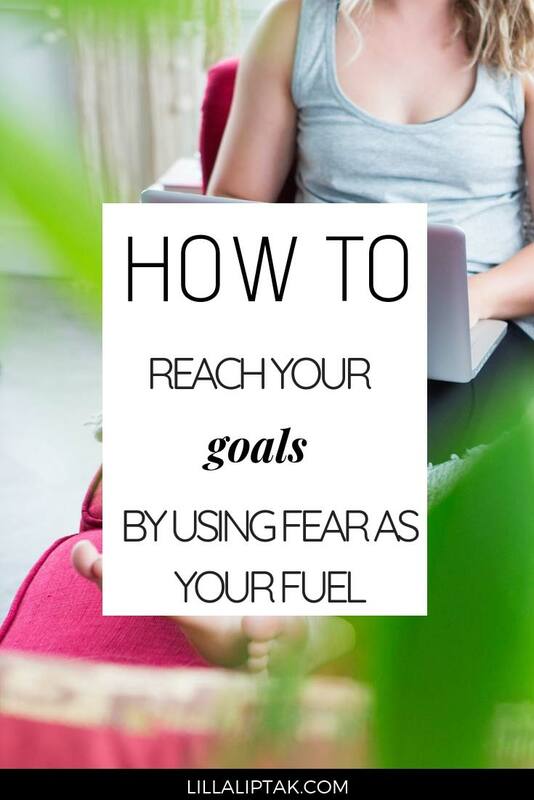 You can use your fear as your fuel to reach your goals by reframing your fear into a strategy. The desired goal is your destination. And the way to your destination is what’s shaping you into the person you can become. By not giving in to your fearful thoughts but rising above them you give yourself the possibility to unfold your true potential. I share with you a quick yet very effective exercise how you can turn your fear into your fuel. Take out a piece of paper + a black pen and write down all negative thoughts you have connected to your desired result. Once you’ve done that take a red pen and reframe all your fearful thoughts. Let’s take the 5 fearful thoughts from above and reframe these and see how we can use them as fuel to reach the goal. I can’t build a business into HOW CAN I BUILD A BUSINESS? I don’t know how to build a business into WHAT STEPS DO I NEED TO TAKE TO BUILD A BUSINESS? What if I won’t make any money into HOW CAN I MAKE MONEY? What if people won’t like what I have to offer into HOW DO I FIND THE PEOPLE WHO WANT TO HAVE MY OFFER? What if no one will buy my stuff into HOW CAN I ENSURE THAT PEOPLE WILL BUY MY STUFF? You can reframe all your fearful thoughts you have connected to your goal. The results, in this case, are questions to yourself. With these open questions, you tap into the creative side of your brain and give your brain the possibility to find solutions. Your brain loves to support you and to find solutions. 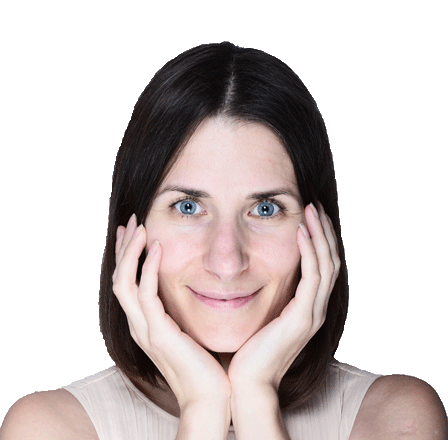 One major thing I learned from my mentor, hypnotherapist Marisa Peer is that your brain always believes what you tell it to believe. If you say “I can’t do it.” your brain will always look for evidence why you can’t do it. And this certainly won’t help you reach your goals. However, I found out that it won’t help to just place a positive affirmation on top of your belief either. Pretending “I can do it” while you deeply believe that you can’t won’t work. Placing a question “How can I do it?” however will catapult you from a fixed mindset to a growth mindset. Your brain suddenly isn’t focused on what you can and can’t but on finding a solution how to make it happen. Finding answers to your questions can now become your mini goals. Once you have the answers you can then turn these into your strategy to reach your overall goal. Fearful thoughts like “ I can’t do it” aren’t there to stop you. They are simply there to signal you that you haven’t experienced them before and you don’t know how to do it yet. Whenever you think from your current situation about your goal you will always feel scarcity around it. It’s totally normal. You can’t see it yet & you physically don’t have it yet. You’ve never experienced it before, therefore you feel lack around it. Reaching your goal from a state of mind in scarcity and lack will be very challenging. What successful people do instead is to imagine themselves already having what they want. Their state of mind is in abundance. They start pursuing their goals from this abundant place. Being grateful for what you already have combined with regular visualization of your goal helps you to operate from an abundant place of your mind. Your brains task is to keep you safe and alive. All new situations are probable threats. Your brain knows that all the things you’ve done in the past are safe because you are still alive. And it will always warn you with fearful thoughts whenever you are about to try something new. Your brain will always look for evidence to prove you right. Whenever you believe that you can’t do something your brain will support you with it. Reaching your goals will be very difficult from a place of scarcity and lack. Reframe your fearful thoughts into open questions, so your brain can work on it to find a solution. Reframe “I can’t make it happen!” into How can I make it happen? With open questions, you automatically tap into the creative side of your brain which will always support you to find the best possible solution for you. After reframing your fearful thoughts into open questions use these questions as mini-steps towards your goal. Find answers to these questions as part of your overall strategy. Be grateful for what you already have and visualize your result before you have it as often as possible. Pursue your goals from this abundant place of your mind. What are your thoughts about this technique let me know in the comments below?